All about Telangana State Engineering, Agriculture and Medical Common Entrance Test (TS EAMCET) ✓ Notification ✓ Syllabus ✓ Eligibility ✓ Application Form ✓ Exam Date ✓ Admit Card ✓ Hall Ticket ✓ Question Sample Paper ✓ Merit List ✓ Counseling Schedule ✓ Answer Key ✓ Preparation Tips & more for admission to Engineering (E) Agriculture & Medical (AM) Courses Examination will be held in May 2019. Engineering, Agriculture and Medical Common Entrance Test (EAMCET) is conducted by Jawaharlal Nehru Technological University Hyderabad on behalf of TSCHE. This examination is the prerequisite for admission into various professional courses offered in University/ Private Colleges in the state of Telangana. a. B.E., B.Tech. / B.Tech. (Bio-Tech.) / B.Tech. (Diary Technology)/ B.Tech. (Ag. Engineering)/ B. Pharmacy /B.Tech. (Food Science and Technology (FST)) / B.Sc. (Commercial Agri. & Business Mgt. (CA & BM)). b. B.Sc. (Ag.) / B.Sc. (Hort.) / B.V.Sc. & A.H. / B.F.Sc. The State Government has announced the EAMCET Telangana 2019 Latest Schedule now. Candidates should belong to the state of Telangana / Andhra Pradesh. The candidates should satisfy local / non – local status requirements as laid down in the Telangana / Andhra Pradesh Education Institutions (Regulations of Admission) order, 1974 as subsequently amended. ✓ Candidates should have passed or appeared for the final year of the Intermediate Examination (10+2 pattern) or equivalent examination with Physics, Chemistry, Biology (Botany and Zoology) / Biotechnology and English individually and must have obtained 50% marks taken together in Physics, Chemistry, Biology (Botany and Zoology) / Biotechnology at the qualifying examination. In respect of candidates belonging to Scheduled Caste and Schedule Tribe & Backward Classes, the marks obtained shall be a minimum of 40% marks taken together in Physics, Chemistry, Biology (Botany and Zoology) / Biotechnology. ✓ Candidates should have completed 17 years of age as on 31st December of the year of admission. ✓ Candidate should obtain at least 45% of marks (40% in case of candidates belonging to reserved category) in the subjects specified taken together at 10+2 pattern. ✓ In the case of Engineering and Pharmacy courses, candidates should have completed 16 years of age, as on 31st December of the year of admission. There is no upper age limit. ✓ In the case of B.Tech (Dairy Technology), B.Tech. (Ag. Engineering), B.Tech. (FST) and B.Sc. (CA & BM), Candidates should have completed 17 years of age as on 31st December of the year of admission and an upper age limit of 22 years for all the candidates and 25 years in respect of Scheduled Caste and Scheduled Tribe candidates as on 31st December of the year of Admissions. ✓ Candidates should have passed or appeared for the final year of the Intermediate Examination (10+2 pattern) with Physics, Chemistry and Biology optionals, conducted by the Board of Intermediate Education, Telangana / Andhra Pradesh or any other examination recognized by the University as equivalent thereto. ✓ Candidate should obtain at least 45% marks (40% in case of candidate belonging to reserved category) in the subjects specified taken together in the qualifying examination. ✓ Candidates should have completed 16 years of Age by the date of commencement of Admissions or on such other date as may be notified by the CET Committee. There is no upper age limit. ✓ Candidates should have passed or appeared for the final year of Intermediate examination (10+2 pattern) with Physics, Chemistry and Mathematics or Biology optionals conducted by the Board of Intermediate Education, Telangana / Andhra Pradesh or any other examination recognized by the Board of Intermediate Education, Telangana / Andhra Pradesh as equivalent thereto or should have passed or appeared at the final year of the Diploma examination in Pharmacy course conducted by the Telangana / Andhra Pradesh State Board of Technical Education and Training or any other examination recognized as equivalent thereto by the Telangana / Andhra Pradesh State Board of Technical Education and Training. ✓ Candidate should have completed 17 years of age as on 31st December of the year of admission to the course. The candidates who have secured qualifying marks in EAMCET-2019 and candidates belonging to the category of Scheduled Caste and Schedule Tribe, for whom qualifying marks have not been prescribed, shall be assigned ranking in the order of merit on the basis of combined score obtained by giving 75% weightage to the marks secured in EAMCET-2019 and 25% weightage to the marks secured in the relevant group subjects namely Mathematics or Biology, Physics, Chemistry of the qualifying examination. For Online submission, visit the website www.tseamcet.in. A candidate has to pay Rs.250/- as Registration Fee and late fee (if applicable) by opting any of the following two modes of payment: (a) TSOnline / APOnline / e-Seva / Mee Seva. (b) Debit / Credit Card. After filling the Online Application Form with the required details, the candidate is required to verify all the details carefully and press Submit button. Filled In Online Application Form will be generated which contains Registration Number along with filled in details. The candidate is required to take printout of Filled In Online Application Form and it is to be submitted to the Invigilator during the examination after affixing a recent color photograph duly attested by the Gazetted Officer or Principal of the College where studied qualifying examination. The candidate should use the Registration Number for future correspondence. STEP#01: Log on to official website of Telengana EAMCET. 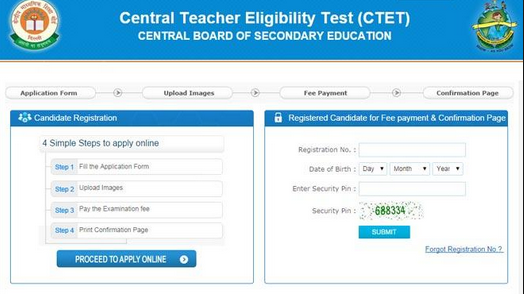 to apply online for TS EAMCET. STEP#04: Fill and edit Telangana EAMCET 2019 online application form. Candidates will be able to download their Hall Ticket from 08-05-2019 to 12-05-2019. Candidates are requested to visit the same website to download their Hall Ticket/Admit Card For Telangana Engineering, Agriculture and Medical Common Entrance Test (TS-EAMCET) Exam 2019. 1:- Log on to the official website i.e.www.tseamcet.in. 2:- Follow the link of “Examination” and click on 'Hall Ticket Card'. ✓ Candidates shall be ranked in the order of merit as explained in the prospectus. ✓ Rank obtained in EAMCET-2019 is valid for admission to the courses mentioned in the application form for the academic year 2019-2019 only. ✓ Rank obtained with the benefit of relaxation of the minimum qualifying marks at EAMCET-2019 by any candidate claiming as SC/ST Category will be cancelled in case the claim is found to be invalid at the time of admission to any course of study in any participating University / Institution.